Alongside the TV app and MacBook Pro launches, Apple on Thursday also unveiled that it is calling a “significant update” to its video editing software, Final Cut Pro X. The latest version, Final Cut Pro 10.3, is now available as a free update for existing users. New users can buy it at Rs. 18,500 from the Mac App Store, while the updated add-ons Motion 5.3 and Compressor 4.3 software are priced at Rs. 3,100 each for new users. 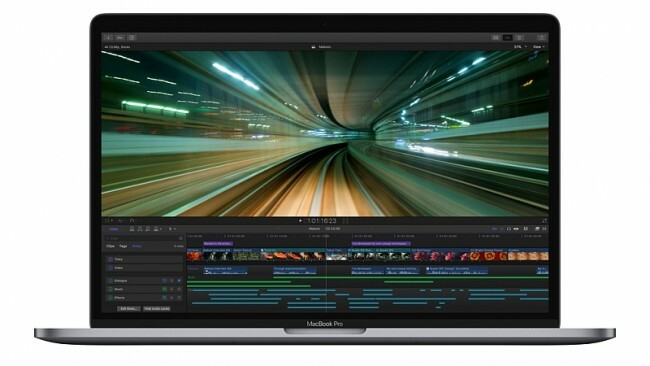 Apart from bringing support for the newly unveiled Touch Bar on the MacBook Pro, something that was also shown as a demo at Thursday’s event, Final Cut Pro 10.3 gets new editing features for the Magnetic Timeline, and a redesigned interface with full support for wide colour workflows. (Also see: Smaller, Lighter MacBook Pros With Touch Bar, Touch ID are Official)In a statement regarding the update, Apple said the new Touch Bar of the MacBook Pro would provide “intuitive, context-sensitive controls.” Users will be able to switch between editing tools, adjust audio levels, and access trimming and playback commands. Users will also get access to a colour-coded, interactive overview of the entire timeline that can be navigated by touch. The new Magnetic Timeline in Final Cut Pro 10.3 will give users customisable arrangements and colour coding of audio clips based on type or “role”. Users will be able to give each roles a unique colour. Apple says another addition is a “first for pro video software”, the ability to drag and rearrange the vertical layout of their timeline or highlight specific audio roles while editing. The revamped interface provides a darker, flat look for regular users, while MacBook Pro users will get a new layout that optimises screen space due to the inclusion of the Touch Bar. The new customisable workspaces lets users adjust window arrangements across multiple monitors, while full support for wide colour workflows lets users to import, edit and deliver video in standard Rec. 601 and Rec. 709 colour spaces, or in wide gamut Rec. 2020 colour space. Other new features in Final Cut Pro 10.3 include a flow transition for smooth jump cuts; the ability to remove attributes to easily delete or reuse select effects across multiple clips; timecode overlay effect and generator to edit with a large view of source timecode; support for ProRes MXF, Panasonic V-Log and export of AVC-Intra, and finally, direct video output via Thunderbolt 3. Motion 5.3 gets a new interface with support for wide colour workflows and 3D text enhancements that improve the performance and realism of 3D titles, among other changes. Compressor 4.3 also gets a new dark look to match Final Cut Pro X and Motion, as well as enhancements to iTunes Store Package creation, among other changes.